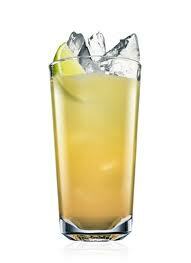 Birdy Num-Num drink recipe made with Ice,Pineapple Juice,Rum,. How to make a Birdy Num-Num with all the instructions and ingredients. Put Malibu and pineapple juice over ice in a glass., If you really want to give it some bite, toss in a shot of your favorite vodka.